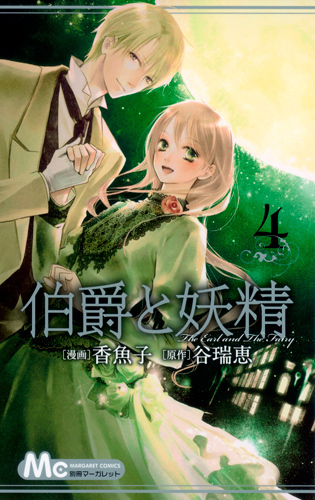 日本漫画 4 Cover. . Wallpaper and background images in the Hakushaku to Yousei club tagged: edgar lydia cover hakushaku manga fairy yousei. This Hakushaku to Yousei photo might contain 花束, 胸花, 波西, 香奈儿, 捧花, and 铭文.